Our favorite weekend of the year is back! The Dirtybird Campout is now 4 years old and gets better every year, and our annual festival of games and friends (and this year, swimming!) 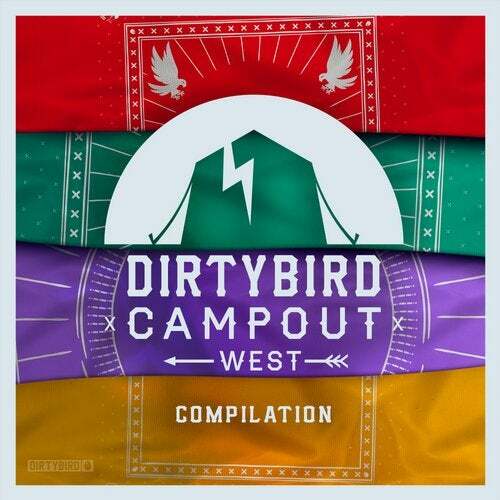 wouldn't be complete with our traditional soundtrack, the 'Dirtybird Campout West Compilation'. We've packed in 12 brand new tracks as well as a mix from our newest Dirtybird Player, Steve Darko, who leads off the comp with 'Switch It Up'. We unearthed Eli Brown's remix of Fisher's 'Ya Kidding', and Sacha Robotti & Kevin Knapp join forces for 'King Midas'. James Curd makes his debut on Dirtybird with KE's vocals on 'Play To Win', and Will Clarke remixes Nick Monaco's 'Drama', which originally appeared on our East Coast comp. Finishing off the musical journey is several new faces, including Pimpo Gama, MDE, n808, and NiQW, along with Lucati's 'Like 17, Lubelski's 'Kaya' and 'Waremouse' from Wyatt Marshall & Fritz Carlton. See you at Camp and don't forget to bring your floaties!